A beautiful collection of converted farm buildings, Newton Grange Holiday Cottages provide modern amenities and comfort in a delightful setting in the Yorkshire Dales. The historic barn and byres have been sympathetically converted to provide attractive and comfortable self catering accommodation in 6 well equipped holiday cottages near Skipton. 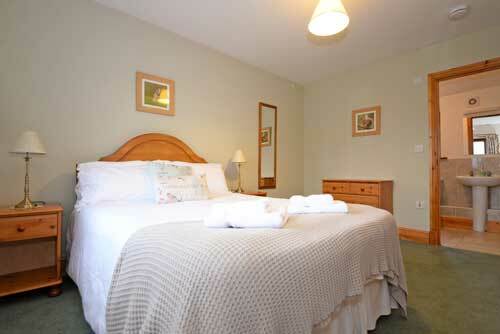 The cottages are graded four star and walker and cyclist friendly by Visit England. 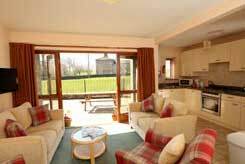 Cottages sleep between 2 and 6 people and are ideal for couples, families and groups of friends visiting together with group self catering accommodation for 24 people. With complimentary Wi-Fi and comfortable furnishings, they are a great choice for family holidays and self catering holidays in the Yorkshire Dales with lots of outside space and room to play. 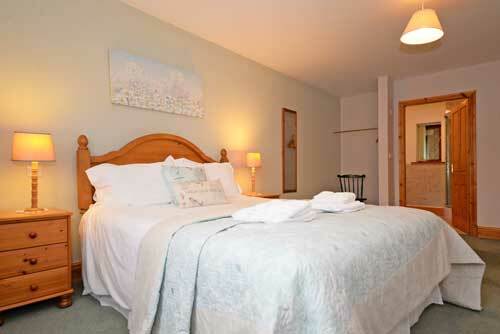 The cottages are pet-free, with exception to one of our 2 person cottages that takes pets. Marvel at the arrival of new lambs in springtime as they skip along in the Home Meadow. From the cottages enjoy exploring the canal towpath and watch colourful barges travel along the Leeds Liverpool Canal. Enjoy sitting back on the patio on a summer's evening as you take in the fabulous scenery and reminisce over your day out in Yorkshire. With a network of footpaths and bridleways from the doorstep and the vibrant market town of Skipton just 5 miles away, this is a brilliant location to explore from. Visit Skipton's famous High Street and wonderfully preserved medieval castle and dungeons. Sample delicious pork pies from Drake and Macefields Butchers, and call in to Walker's Bakery to try a slice of Yorkshire Curd Tart. Marvel at the historic steam trains at Embsay and Bolton Abbey Steam Railway. Say hello to the animals at Hesketh Farm Park and play to your heart's content in the adventure playgrounds at the Yorkshire Dales Ice Cream Farm and Diner at Halton East, as seen on BBC's Countryfile. Walk through the famous 'hole in the wall' to find Bolton Priory in its majestic setting by the River Wharfe. If the water isn't too high, have fun trying out the stepping stones across the river to complete your day of adventure. 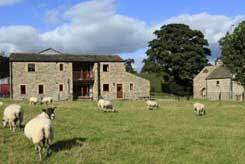 We warmly invite you to stay in our rural retreat near Skipton in the Yorkshire Dales.